WASHINGTON, Jan. 22, 2019 /PRNewswire/ -- Wounded Warrior Project® (WWP) announced a grant to Boulder Crest, a military service organization that hosts retreats facilitating post-traumatic growth for veterans managing post-traumatic stress disorder (PTSD) and combat stress. 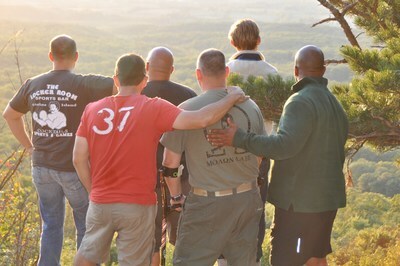 This $430,000 grant provides the resources to host eight Warrior PATHH (Progressive and Alternative Training for Healing Heroes) retreats, which are non-clinical, 18-month combat stress recovery programs for veterans. "For years, Boulder Crest has helped combat veterans and their families face the physical, emotional, and spiritual challenges of coping with the invisible wounds of war," said René Bardorf, WWP senior vice president of government and community affairs. "Through their retreats and programs, Boulder Crest focuses on fostering growth among those coping with PTSD. This important program helps address the ever-growing needs of veterans, and their family members and caregivers." "Our nation's combat veterans represent the finest among us – and deserve the opportunity to live great lives, filled with passion, purpose, growth, and service," said Ken Falke, Boulder Crest's Founder and Chairman. "We created Warrior PATHH to train these remarkable men and women to transform struggle into strength and lifelong Post-traumatic Growth. This generous investment by Wounded Warrior Project ensures that we can reach more combat veterans and not only transform their lives, but those of their family members." Since 2012, WWP has partnered with over 120 organizations involved in the care of America's military community by providing more than $74 million in grants. To learn more about how WWP partnerships with organizations like Boulder Crest are improving the lives of millions of warriors and their families, visit https://wwp.news/Newsroom.